This kind of a list is necessarily subjective, but I am trying to base my choices not on “my favorites,” but on the basis of influence–both on other theologians and on the faith and practice of the churches. After I post this list, my next posts will be a series of profiles of each of these ten. I do not think that either my choices or descriptions/evaluations are incontestable. I invite others to submit their own lists and reasons for them–either in the comments or on their own blogs with links in the comments. I also invite readers from other nations to list the most important theologians of their nations. Our mutual enrichment could be considered a form of globalized “continuing theological education.” I hope you enjoy this series and I look forward to your responses. My list is in chronological order. Roger Williams (1603-1683). Williams was a Cambridge educated English Puritan theologian who emigrated to Massachusetts Bay Colony where his evolving views led to conflict with the colony’s religious establishment. He became a champion of religious liberty and church-state separation, as well as a friend and advocate for Native Americans. Banished (together with his wife) into “ye howling wilderness” by the Massachusetts Bay Colony authorities, Williams was saved by Native Americans of the Narragansett nation. He founded Providence and secured a royal charter for the Colony of Rhode Island. He founded the First Baptist Church in North America in Providence, but soon withdrew himself from membership (believing all churches to be impure) to await the rise of a new apostleship. He wrote a grammar of the Narangansett language for English speakers, founded Rhode Island as the first colony to ensure religious liberty, and wrote many theological tracts that were influential on others, especially later Baptists. the revivals. His work Freedom of the Will re-thought the doctrine of Predestination. Edwards reshaped Puritan theology to mold the Evangelicalism of the Great Awakening. Charles Hodge (1797-1878). Presbyterian theologian of the first generation of Princeton Theological Seminary, Hodge established the Calvinist orthodoxy of the central strand of American Evangelicalism. He also began the form of the doctrine of biblical inerrancy (refined by his son, A.A. Hodge and by B. B. Warfield) that became so important to most U.S. conservative Protestants after the rise of the Fundamentalist-Modernist Controversy. Walter Rauschenbush (1861-1918). American Baptist pastor, church historian, and THE theologian of the Social Gospel movement. Kingdom of God—in which both individual salvation and the struggle for social justice were incorporated. Augustine—especially on the nature of sin. He called the result “Christian Realism,” and, for better or worse, it has dominated the American Christian approach to social ethics and political involvement ever since. H. Richard Niebuhr (1894-1962). Reinie’s younger brother and arguably the more brilliant, but less influential, thinker. Influenced more by Calvin than Luther, also Troeltsch and Karl Barth. Created the foundations of what became “narrative theology” and the post-liberal tradition. influences and forged a nonviolent theology of social concern that rejected the Constantinian synthesis of imperial Christianity that had dominated Christianity since the 4th C. He was probably the most influential Christian pacifist theologian since World War II and certainly the most Christocentric. Martin Luther King, Jr. (1929-1968). African-American Baptist minister who took traditional Black Baptist pietism, the Social Gospel, Christian Realism, Boston Personalist philosophy & Gandhian nonviolence theory to forge the theology of the nonviolent Civil Rights movement. Educated at Morehouse College, Crozer Theological Seminary, Harvard University, and Boston University, King repeatedly turned down academic posts in order to keep his commitments as a pastor and leader of the grassroots Civil Rights movement. by Presbyterians, Russell incorporated feminism into a much more mainstream Christian tradition than did other early pioneers like Mary Daly (who became a self-described “post-Christian”) and Rosemary Radford Reuther. James Hal Cone (1938–). The most influential of the pioneers of Black Liberation Theology. A minister in the African Methodist Episcopal (AME) Church, Cone was educated at Philander Smith College, Garrett-Evangelical Theological Seminary, and Northwestern University, Cone has spent most of his career teaching at Union Theological Seminary in the City of New York. Influenced by traditional Black Methodism, Karl Barth, Martin Luther King, Jr., Malcolm X, and the Black Power Movement, Cone has sought to re-think Christian theology from the perspective of the oppressed and to articulate a theology of liberation focused on the African American context, but in dialogue with other liberation movements and cultural traditions around the globe. Well, there’s my list. I am deeply aware that it is dominated by white males, but the tradition has been so dominated for most of U.S. history and I am trying to organize my list in terms of influence. I may believe (as I do) that Frederick Douglass should have been far more influential than Charles Hodge, but, at least at this point in U.S. history, it is not the case. Even so, narrowing this list to 10 was not easy. The omissions are glaring–and I hope your responses will help to fill them. 26. George Keith (1639-1716) was a Quaker who came to believe that the Inner Light was not enough and came to Baptist convictions on believers’ baptism and the Lord’s Supper. His short-lived movement of “Keithian Baptists” (sometimes called “Quaker Baptists”) were thoroughly pacifist. 27. Elder Peleg Burroughs (1748-1800). Newport, R. I. Baptist pastor in the General (6 Principle) Baptist tradition (whose wife was a Seventh Day Baptist). He sympathized with the U. S. Revolution, but would not violate his principles by agreeing to fight or monetarily support the war. 28. Benjamin Randall (1749-1800), founder of the Free Will Baptists, was a thorough pacifist and the first couple of generations of Free Will Baptists were pacifists, too, although most current Free Will Baptists are both theologically fundamentalist and socially conservative, including being militaristically nationalist. 29. Elder Elhanan Winchester (1751-1797), a Baptist who came to believe in universal salvation, was also a strong pacifist and an early opponent of slavery. 30. Benoni Stinson (1798-1869) was a Kentucky pastor of a “United” Baptist congregation (i.e., composed of a mix of Regular or Charleston Tradition Baptists with Separate/New Light/Sandy Creek Baptists) who came to reject Calvinism for Arminianism. He founded the General Association of General Baptists and opposed both war and slavery. 31. Howard Malcolm (1799-1878) was an American Baptist minister who held pastorates in both the South and the North prior to the Civil War. He served as first president of Georgetown College, Georgetown, KY (a Baptist college not to be confused with Georgetown University in Washington, D.C. which is Catholic) and was later president of Bucknell University, Lewisburg, PA (once Baptist and now secular). Malcolm was active in many social reforms, including the abolition of slavery. A strong pacifist, he was the founding president of the American Peace Society. 32. Henrietta Oden Feller (1800-1868) was a Swedish Baptist missionary to Canada where she founded a school for girls and women. When the school and the Baptist congregation were attacked, she insisted that people respond with nonviolence and love of enemies. 33. William Lloyd Garrison (1805-1879) Baptist newspaper publisher and major leader of the movement to abolish slavery, Garrison was also involved in the struggle for women’s rights, for universal education and an end to child labor, and the abolition of war. 34. Susan Elizabeth Cilley Griffin (1851-1926), known as “Libby,” this missionary and pastor is the earliest documented woman to be ordained to the gospel ministry in Baptist circles. She was a Free Will Baptist missionary to India, then ordained and called to a church in Elmira, NY. 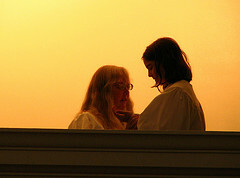 When much of the Free Will Baptists merged with the Northern (now American) Baptists, Libby’s ordination was accepted. Her pacifism grew out of her devotion to missions and experiences as a missionary. 35 . Henry Clay Vedder (1853-1935) was a Baptist minister and church historian who became an advocate of the Social Gospel and was a conscientious objector to World War I. 36. Samuel Zane Batten (1859-1928) Northern (American) Baptist minister and advocate of the “Social Gospel” and strong pacifist who opposed World War I even after the government declared that opposition to the war would be treated as treason. 37. William Henry Haden (1875-1972) a British Baptist pastor, founded the Baptist Pacifist Fellowship in 1929 which is today the (British) Baptist Peace Society. 38. Herbert Dunnico (1876-1958), British Baptist pacifist and conscientious objector during World War I. 39. Edwin Foley (1877-1972), British Baptist pacifist and conscientious objector during World War I. 40 Helen Barrett Montgomery (1861-1934), daughter of a Baptist minister, missions advocate, and suffragist (who was friends with Susan B. Anthony), Montgomery was the first woman to publish her own translation of the New Testament and to become head of a major denomination (president of the Northern Baptist Convention). Her pacifism grew not just out of her study of the New Testament, but from her commitment to missions (vs. nationalism) and her commitment to advancement for women (women and children being historically the prime victims of war). 41. Kenneth Scott Latourette (1884-1968) was a Baptist layperson, Yale historian of China and of the history of Christianity, especially Christian missions. Latourette’s global sense of the church as the Body of Christ led him to embrace Christian pacifism. 42. Edwin McNeill Poteat Jr. (1892-1955). Baptist pastor in both the South and the North of the United States and a missionary to China, president of Colgate Rochester Theological Seminary. McNeill was one of the founders of the Baptist Peace Fellowship in 1929. His pacifism led him to become a registered Independent in politics in order always to be able to “speak truth to power. 43. George L. “Shorty” Collins (1892-1991) who was 6′ 5″ and thin, was an American Baptist minister, one of the Founders of the pacifist Fellowship of Reconciliation, of the Congress on Racial Equality (CORE), and of the Baptist Pacifist Fellowship. He was for many years a traveling field secretary for the Fellowship of Recobnciliation. 44. Edwin T. Dahlberg (1893-1986). American (Northern) Baptist pastor, was one of the founders of the U.S. chapter of the pacifist Fellowship of Reconciliation (1915), and a founding member of the Baptist Pacifist Fellowship (1929). President of the Northern Baptist Convention (now American Baptist Churches, U.S.A.) (1946-1947) and President of the National Council of Churches (1957-1960). Dahlberg received the Gandhi Peace Award. The American Baptists annually award the Dahlberg Peace Award to a major peacemaker. The first recipient (1964) was Martin Luther King, Jr.
45. Ernest Alexander Payne (1902-1980), British Baptist pastor, historian, and ecumenist. His pacifism was rooted in his Anabaptist view of the church. 46. Robert James McCracken (1904-1973), Scottish born Baptist minister who taught theology at McMaster Divinity School in Ontario and was the second Senior Minister of Riverside Church (NY) and taught homiletics at Union Theological Seminary. More orthodox than his predecessor at Riverside Church (Fosdick, see previous post), McCracken’s pacifism was rooted in his Calvinistic trust in the Soveriegn Grace of God. 47. Culbert G. Rutenber (1909-2003). Known as “Cubby,” Rutenber was a Baptist minister from the conservative evangelical strand of Northern/Americasn Baptists. In addition to several pastorates, Rutenber spent most of his career teaching Christian social ethics and philosophy of religion at Eastern Baptist Theological Seminary (now called Palmer Theological Seminary) where he articulated an evangelical version of the social gospel. His best known book defending Christian pacifism was The Dagger and the Cross. 48. Frank Stagg (1911-2001) was a famed Southern Baptist New Testament scholar. 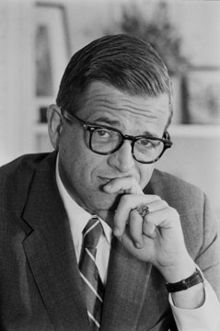 His opposition to the Vietnam War led him to rethink the question of war and Christian discipleship altogether and, led by his study of the New Testament, he embraced Christian pacifism. 49. Jo Ann Robinson (1912-1992), was a National Baptist (African-American) and a member of Dexter Avenue Baptist Church in Montgomery, AL. She was also a nonviolent activist for social justice. She was president of the Women’s Political Caucus and in the Montgomery chapter of the NAACP. When Rosa Parks, the NAACP secretary, was arrested for sitting in the “white section” of the city bus, Robinson and other women organized the Montgomery Busy boycott and the Montgomery Improvement Association–though male leaders liker Robinson’s pastor, Rev. Dr. Martin Luther King, Jr., soon got all the press. 50. Carl W. Tiller, Jr. (1916-1991) was a layleader in Northern/American Baptist circles, also sitting on the board of the Baptist World Alliance. A pacifist and ecumenist, he was president of the American Baptist Convention (now American Baptist Churches, USA) in 1966 and 1967. I was having a conversation this week about Christian pacifism or, as I prefer to say, gospel nonviolence. The Christian Church was pacifist from its beginnings for 3 1/2 centuries–and majority pacifist for another half -century. But for 16 centuries now, pacifism has been a “minority report” among Christians and, in the United States (for some time a particularly violent and militaristic culture) many of the majority who call themselves Christian have never even heard of gospel nonviolence or knowingly met a Christian pacifist. Studies by the Pew Center and others have shown that among conservative Catholics and Protestant evangelicals in the U.S., the more frequently one attends church, the more likely one is to support torture, the death penalty, and war (and, yet, these same people constantly proclaim Christianity to be a “religion of love and peace” and demonize all Muslims as terrorists!). So, Christian pacifists like myself often have these kinds of conversations where we try to explain Christian pacifism to dumbfounded persons who have never heard of it. It was one of those conversations. Suddenly my interlocutor realized that I belong to the Baptist tradition. It shouldn’t have struck him as unusual–although my particular denomination, the Alliance of Baptists, is quite small, Baptists taken as a whole comprise the largest Protestant group in the U.S. and are especially strong in the U.S. South (though we entered North America and first took root in New England, especially Rhode Island). But my interlocutor had never heard of a Baptist pacifist! Why, he asked, aren’t Baptists the most pro-war, pro-death penalty, pro-gun, pro-militarism, group of Christians ever? I could think of some rivals, but admitted that in recent years in the U.S., Baptists had that reputation–especially because of the size and influence of the Southern Baptist Convention which, since the 1980s, has been all of those things. But, I replied, this hasn’t always been the case historically, nor is it true even today all over the world. Although never one of the “historic peace churches,” pacifism has always been a significant minority report among Baptists and we have been involved in campaigns for peace, justice, and human rights throughout our 400 years as a distinct Christian movement. (Unfortunately, it’s also true that Baptists have been on the other side of those movements, too. But this could be said by MOST Christian groups, sadly.) He didn’t believe me. He was a well-informed student of U.S. religious movements and challenged me to name 10 Baptist pacifists whose names he, or most well-informed observers of American religion, would know. I did so. So, he upped the ante: Could I name ONE HUNDRED Baptist pacifists? That took more time. Here are my results in roughly chronological order. I may profile many in this list in future posts. The number of Baptist women who are pacifists is probably far larger than with men, both historically and now. But because of the silencing of women’s voices in most of history, I know of fewer examples. (There are others I suspect, but cannot document. They wrote mainly on other subjects.) Likewise, my knowledge of Baptist life outside North America and the UK is limited, though I keep seeking to broaden it. Readers who have other examples are encouraged to send them to me in the comments, so that this list becomes more multicultural than at present. I do not reproduce this list in order to brag on Baptists. I think our current reputation for militarism and violence (at least in North America) is well deserved and shameful. And I think that all Christians should be pacifists as part of being followers of the Prince of Peace. But I want to help recover this subversive minority report in my tradition–and hope it spreads like wildfire. Peace is at the heart of the gospel and evangelism without peacemaking is a false gospel. John Smyth (c.1570-1612). Puritan pastor and exile to Holland who, under influence by Waterlander Mennonites, founded the modern Baptist movement. Becoming convinced of nonviolence, he and most of his exiled English congregation merged with the Amsterdam congregation of Waterlander Mennonites. John Murton (c. 1585-1621). In 1611 a small group of Smyth’s congregation refused to merge with the Mennonites. Led by lawyer Thomas Helwys, they returned to England and founded the first Baptist congregation on English soil in Spitalfields, a suburb of London with Helwys serving as pastor. Helwys was not a pacifist, but several of his congregation were. When he was imprisoned in the Tower of London for speaking out for religious liberty, John Murton took over as pastor until he, too, was imprisoned and died there. Murton was a pacifist and, upon his death, his wife returned to Amsterdam and was accepted by the Mennonites “without further baptism,” meaning that they accepted her as “of like faith and order” including on nonviolence. Richard Overton (c. 1599-1664). English Puritan, briefly a member of the Amsterdam Waterlander Mennonites, then an English General Baptist and a leader of the Leveller movement in the days of the English Civil War. Overton coined the term, “human rights” and both he and his wife practiced nonviolent civil disobedience to the authorities for the cause of religious liberty. Many have denied that Overton was a pacifist because some of the Leveller tracts he co-authored allowed for minimal militias to replace standing armies–but these were jointly authored political manifestos, not sermons. On no document solely authored by Overton is violence ever justified. Gerrard Winstanley (1609-1676), General Baptist layperson and leader of the nonviolent movement for agrarian reform known as the “Diggers” or “True Levellers.” After the Digger movement collapsed and General Baptists became more conservative, Winstanley, toward the end of his life, became a Quaker. 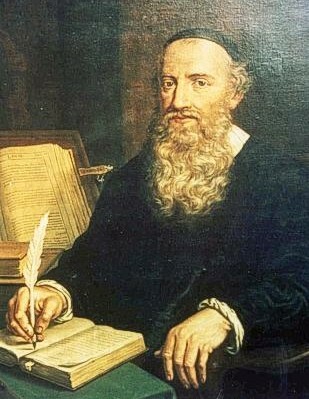 Shubal Stearns (1706-1771), early leader of the “Separate” or “New Light” revivalist Baptists who planted the “Sandy Creek” Baptist tradition in the U.S. South, along with his brother-in-law, John Marshall, and his sister, Martha Stearns Marshall (who were also probably pacifists, but I can’t be sure). In 1770, Stearns threatened to excommunicate anyone in the Sandy Creek Baptist church who took up arms against the governing authorities. William Carey (1761-1834) illiterate shoe cobbler turned Baptist minister–and an autodidact who taught himself Hebrew, Greek, and several languages spoken in India. Carey helped to launch the modern missions movement by founding the Baptist Mission Society (BMS–Today known as Baptist World Mission) and becoming its first missionary–to India. In India, Carey preached for 10 years before his first convert, while learning to translate the Scriptures into Hindi, Punjabi, Gujurat and other Indian languages. He also worked for social justice, including opposition to war. Henry Holcombe (1762-1824) an officer in the U.S. Revolutionary War, Holcombe renounced his commission and war upon his conversion. Serving Baptist pastorates in both New England and the deep South, Holcombe was a tireless champion of social reform–including advocating the end of slavery, for the education of women, prison reform, labor rights, and peace. He helped to found the oldest peace society in the United States. Adonirom Judson (1788-1850), the first and one of the most famous Baptist missionaries from North America. Baptist missionary to Burma (Myanmar), Judson was widowed twice and married 3 times–to three remarkable women. (The 3 “Mrs. Judsons” may have also been pacifists. They were certainly strong workers for human rights and peacemaking.) Judson was imprisoned by the British during their war with Burma and his wife got him released. Upon his release, Judson became a pacifist and confessed his shame on waiting so long to speak out against war and Christian participation in war. George Dana Boardman (1828-1903), son-in-law of Judson and a famous New York Baptist pastor, Boardman was a pacifist who was heavily involved in the 19th C. Peace Movement. Joanna P. Moore (1832-1916). Northern Baptist missionary to freed slaves following the Civil War–who believed that racism, war, and the exploitation of women and children (the term “sexism” had not yet been coined) to be the greatest of crimes against humanity. Frederick Brotherton [F. B.] Meyer (1847-1929) Baptist evangelist in both the United Kingdom and South Africa, Meyer was not only a pacifist and social reformer, but a major influence on Mohandas K. Gandhi during Gandhi’s South Africa campaigns. Walter Rauschenbusch (1861-1918). Baptist pastor in NYC’s “Hell’s Kitchen” and later church history professor at Rochester Theological Seminary, Rauschenbusch was the most important theologian of the Social Gospel movement. Through much of his life, he did not consider or write on issues of war or violence, but as WWI began–and the U.S. geared up to fight in it–Rauschenbusch became a pacifist and joined the newly organized Fellowship of Reconciliation. Isabel Crawford (1867-1961). Northern (American) Baptist missionary to Native Americans in Oklahoma’s “Indian Territory,” Crawford often acted as an unordained pastor. A pacifist, she understood the anger and outrage among the Native Americans. So, she showed them how to use the courts to stand up for their rights without violence–actions which landed her in trouble with the mission agency. Harry Emerson Fosdick (1878-1969). Famous liberal Baptist minister and founder of Riverside Church in the City of New York. A follower of Rauschenbusch and the Social Gospel, Fosdick did not notice Rauschenbusch’s move to embrace pacifism. Like most other pastors in the U.S. when America entered WWI, Fosdick waved the flag and cheered the troops from the pulpit. He even went over to minister to frontline troops in France under the auspices of the YMCA (which was, at the time, an actual Christian mission organization and not a sports club). In letters and articles written from the front, Fosdick worried more about the sexual temptations of “our boys in uniform” than the morality of killing. But the horrors of war changed him. When he returned, Fosdick became a pacifist and never again preached chavenistic nationalism or militarism. He continued to preach his pacifist convictions even during World War II. Muriel Lester (1883-1968) Born to wealth in British “Strict and Particular” Baptist circles, Muriel Lester founded a combination church and settlement house in the London slum known as Bow and became a social worker, pastor, self-taught theologian, socialist Member of Parliament, and pacifist. She was one of the Founders of the Fellowship of Reconciliation in 1914, pledging “no moratorium on the Sermon on the Mount” during World War I. Later a global traveling secretary for the International Fellowship of Reconciliation and a friend of Gandhi. Dores Sharp (1885-1981). Baptist minister, student of Walter Rauschenbusch and Rauschenbusch’s first biographer. An early leader of the U.S. chapter of the Fellowship of Reconciliation. Pacifist and conscientious objector. Septima Poinsette Clark (1898-1987). African-American educator and civil rights activist. After being fired from the public schools in Columbia, SC for refusing to give up her membership in the NAACP in 1956, Septima Clark was hired by the Highland Folk School (now Highland Education Center) in Monteagle, TN to teach adult literacy and citizenship classes to African Americans. She also learned and taught Gandhian nonviolent methods and tactics to the Nashville students who would lead its Sit-In movement in 1960. There she perfected her “Freedom School” methods that she used to help lead voter education classes throughout the Civil Rights movement. Clark was later to successfully sue the Columbia, SC schools for wrongful termination and receive back pay as a teacher. In 1979, Pres. Jimmy Carter presented her with a Living Legacy Award. Howard Thurman (1900-1981). African American Baptist theologian, mystic, and pastor. A major influence on Martin Luther King, Jr. Thurman was a pacifist, a member of the Fellowship of Reconciliation, who knew Muriel Lester, and was influenced by both Gandhi and the Quaker mystic, Rufus Jones. George Lee (1903-1955). African-American Baptist minister and nonviolent activist in Belzoni, Mississippi–and martyr of the civil rights movement. After being denied the chance to register to vote, Rev. Lee started a chapter of the National Association for the Advancement of Colored People (NAACP) in Belzoni in 1953. Lee led the NAACP promptly to begin a voteer registration drive. White resistance to this move was massive and violent. On the Saturday prior to Mother’s Day, 1955, Rev. Lee was driving home from voter registration work when he was hit by gunfire from a passing car. With half his face blown off, Lee pulled himself out of his car and made his way to a cab stand. Two black drivers took him to the hospital where he died quickly. The local sheriff refused to examine the body and ruled that Lee died in a fatal traffic accident. Even after the coroner pointed to the bullets taken from Lee’s head and face, the sheriff called them “dental fillings” and refused to investigate. Rev. George Lee’s murder remains unsolved. J. Martin England (1901-1989). American (Northern) Baptist minister born in the South; missionary to Burmal; co-founder of Koinonia Farms (see below); adviser to the fledgling Civil Rights movement and Christian pacifist. Clarence Jordan (1912-1969) Baptist minister from Georgia who earned a Ph.D. in New Testament from The Southern Baptist Theological Seminary before co-founding Koinonia Farm (now Koinonia Partners) , an interracial Christian farming community South Georgia in 1942. Worked for racial and economic justice, translated the NT into colloquial English (in order to capture the emotional “punch” of the New Testament for Southern Christians who hid from its radical social message behind the King James Version’s Elizabethan English), interacted with the Civil Rights movement, and denounced war and violence. Fannie Lou Hamer (1917-1977) Former Mississippi sharecropper and granddaughter of slaves, beginning in 1962 (when she was 42 years old), Hamer became a nonviolent activist with the Student Nonviolent Coordinating Committee (SNCC or “Snick”) and was the leading speaker at the public testimony of the Mississippi Freedom Democratic Party at the 1964 Democratic National Convention. She was severely beaten while trying to register to vote and beaten nearly to death in jail. In later years she worked with the National Women’s Political Caucus. Ralph David Abernathy (1926-1990). African-American Baptist pastor and civil rights leader. Although he served in WWII, Abernathy later came to pacifist convictions. Co-founder of the Montgomery Improvement Association and co-founder of the Southern Christian Leadership Conference. After King’s assassination in 1968, Abernathy led the Poor People’s Campaign in Washington, D.C. and in 1969 protested the launch of the Apollo 11 flight to the moon while millions starved at home. In later years he addressed the United Nations on World Peace (1971) and served as President of the World Peace Council, headquartered in Helsinki, Finland. I have mentioned that Cynthia R. Nielson has been posting a series of brief guest-bloggings on “Violence and Holy Writ” on her wonderful blog, Per Caritatem. I am the guest-blogger for the third installment, on slavery and the crisis of biblical authority in 19th C. America. See that post here. Let’s face it: Theology, like most academic disciplines, has been thoroughly dominated by male voices. But the voices in Christian theology have not been exclusively male and recent decades have seen the recovery of female contributions to Christian theology in many eras (from the “Church Mothers” onward) and many branches of the Church catholic, East and West. Yet, women’s voices continue to be omitted or downplayed in major surveys of historical theology. Since criticism, like charity, best begins at home, I will illustrate this fault in my own tradition by focusing on two recent (and otherwise excellent) studies of the history of Baptist theology. Now, the resurgent fundamentalism and scholastic (“high”) Calvinism in the Southern Baptist Convention has led the current shapers of that large denomination to be rather deliberate in their silence of women’s voices. The post-fundamentalist takeover SBC took away ordination as a local church matter in order to quash the ordination of women as deacons, pastors, and other ministers of the gospel. The Convention’s statement of faith (turned into a rigid creed, unlike its historic function), The Baptist Faith and Message, was revised in 2000 to make explicit and permanent the subordination of women in family, church, and society ( in practice, many SBC fundamentalist leaders will vote for female politicians as long as they are rightwing Republicans like Sarah Palin, though their theologies should demand that they insist such women remain at home). There was even a move a few years ago (which failed) to rename the iconic Lottie Moon Christmas Offering for Foreign Missions because of the prominence given to pioneering woman missionary to China, Charlotte Diggs “Lottie” Moon. But I want to focus on historical treatments by those who are in favor of the equality of the sexes and whose silencing of female voices is not conscious or deliberate–because this seems to me to be the larger problem. 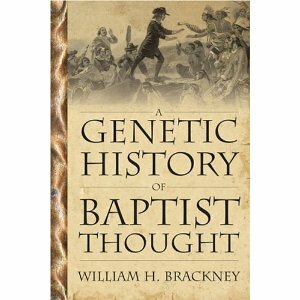 William H. Brackney, A Genetic History of Baptist Thought (Mercer University Press, 2004). Brackney is a brilliant church historian and historical theologian who has taught at Eastern Baptist Theological Seminary( now re-named Palmer Theological Seminary) (an American Baptist school), McMaster Divinity College (Canadian Baptist), Baylor University (Baptist General Convention of Texas & Cooperative Baptist Fellowship), and is now Cherry Distinguished Professor of Theology and Ethics at Acadia Divinity College (Canadian Baptist). His A Genetic History of Baptist Thought traces the theological influences on various Baptist groups since our 17th C. beginnings through confessions of faith, hymns, the influence of pastor-theologians, and through the study of major writing theologians in their institutional settings, i.e., Baptist-founded universities and seminaries and in diaspora at ecumenical institutions or other institutions outside Baptist circles. Although concentrating on Britain, Canada, and the U.S., Brackney does an excellent job at recovering voices of African-American Baptist theology–all too often neglected in such surveys. His work would have been even more impressive had he not so narrowly defined “theology” in terms of “doctrine,” ruling out influential Baptist voices in biblical theology, historical theology, missiology, and Christian theological ethics. That definitional restriction naturally eliminated some major female voices. So, in a dense volume of 592 pages, Brackney only includes brief treatments of two women: the 18th C. British hymnwriters Anne Steele (1717-1778) (a Particular, or Calvinistic, Baptist) and Alice Flowerdew (1759-1830) (a General, or Arminian, Baptist). 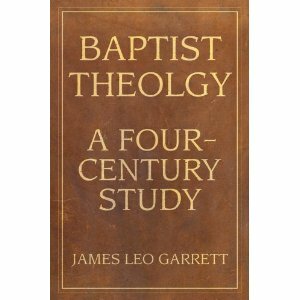 James Leo Garrett, Jr., Baptist Theology: A Four Century Study (Mercer University Press, 2009). What could be the excuse for such neglect? Why do both these excellent surveys neglect such contributions to British Baptist thought as Anne Dutton (1692-1765), Marianne Farningham (1834-1909), or Muriel Lester (1885-1968)? If one is going to include the thought of the Southern Baptist missiologist William Owen Carver (1868-1954), as Garrett does, why would one leave out the work of Annie W. Armstrong (1850-1938), or Mary Webb (1779-1861)? Pioneering missionary Adonirom Judson was married 3 times because two of his wives died on the Burmese mission field. All 3 women, Ann Hasseltine Judson (1789-1826), Sarah Hall Boardman Judson (1803-1845), and Emily Chubbuck Judson (1817-1854), were writers who influenced American Baptist views on many subjects, especially missiology. Ann was an excellent student of Hebrew and Greek and helped Adonirom translate the Bible into Burmese and related languages. Her many letters to Baptist papers in America created the image of the missionary as a heroic figure in Baptist life. Sarah translated Pilgrim’s Progess into Burmese and preached sermons to the Karen and Kachin peoples. Emily wrote the biography of Sarah’s life, and numerous other works–many of which are now being reprinted by Mercer University Press. A Canadian Baptist woman (originally from Sweden) who could have been included is Henriette Odin Feller (1800-1845) who founded a college for women. Helen Barrett Montgomery (1861-1934), a friend of Susan B. Anthony, is the only woman to have published her own translation of the Greek New Testament, and she was the first woman to head a major denomination when she served as President of the Northern (now American) Baptist Convention. She was also a major proponent and interpreter of Christian missions and a social reformer who helped promote the Social Gospel in Baptist circles. But neither Brackney nor Garrett mentions a word about Montgomery and her influence. What is especially puzzling is Garrett’s omission of women’s voices in his chapter on “New Voices in Baptist Life.” Why no treatment of Molly T. Marshall, now President of Central Baptist Theological Seminary (Shawnee, KS) and author of three monographs? Why nothing on Emilie Townes (now of Yale Divinity School), author or editor of four (4) books of theology and ethics (who could’ve also been included in Brackney’s chapters on African-American Baptists or Baptists in Diaspora)? Sheri Adams, now at Gardner-Webb University’s Divinity School, was actually a colleague of Garrett’s at Southwestern but he says nothing of her work which included interaction with Latin-American Liberation Theology. He covers the work of New Testament theologian Frank Stagg (1911-2001) without mentioning the fact that his wife, Evelyn (1914-), though unable at that time to be a regular student at SBTS, got better grades in Greek than he did and was the uncredited co-author of all his books (finally being listed as such in the 1978 Woman in the World of Jesus). Nor is there any attention to Elizabeth Barnes (of Southeastern Baptist Seminary and Baptist Theological Seminary at Richmond) who wrote a major study rethinking Baptist ecclesiology with aid from the early Karl Barth and another pioneering work in narrative theology. Missing is any discussion of Eastern Baptist (now Palmer) Theological Seminary’s Eloise Renich Fraser or Colgate Rochester Crozer’s Melanie A. May. Dozens of others could be listed in “new voices.” As with almost all other Christian traditions, Baptist theology has been dominated by men and the increasing number of women in leadership in (at least some strands of) Baptist circles are hard pressed for role models and female influences. But when surveys such as Brackney’s and Garrett’s neglect the female voices that have been present, it is needlessly disempowering. It is also hurtful to men: Conservative men who are biased against women’s leadership have their already unreasonable pride and arrogance reinforced. Men who would be open to women’s voices and perspectives are deprived of a chance to be introduced to them. Further, both men and women miss the important theological perspectives that only women can give. In short, this kind of silencing hurts the Body of Christ. It’s past time for these kind of silences to end. 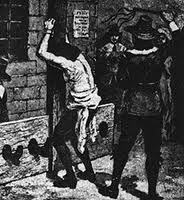 On 06 September 1651 , 359 years ago tomorrow, Obadiah Holmes, a Baptist layperson who’d been arrested for preaching without a license, was given 30 lashes with a bullwhip in public. During the beating, Holmes was so enraptured with God’s love that he swore he was being “struck by roses.” His witness not only helped undermine the theocratic laws of Massachussetts Bay Colony, it also led to the founding of First Baptist Church of Boston. Holmes’ witness also led to the conversion of Henry Dunster, first president of Harvard College, to Baptist views (which led to his forced resignation when he refused to have his infant son baptized).